This is a continuation of the workflow series: part 1, part 2, and part 3. This workflow was done entirely in the web browser and could be done on a chromebook. The only step that requires a more serious computer is sending the file to your 3D printer. Also, writing up this blog post took three times longer than the actual workflow! 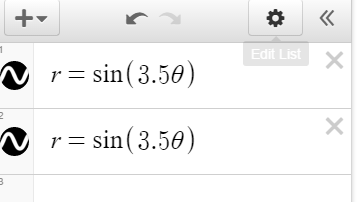 Make a design in Desmos, turn off grid and axes and take a screenshot. Here’s the design that I worked with, and the screenshot that I used. I have the function listed twice so that the design was fully black, but I don’t think this would have mattered. Go to Selva3d and register for an account. Upload your screenshot and it will extrude it for you. Download the 3D file. 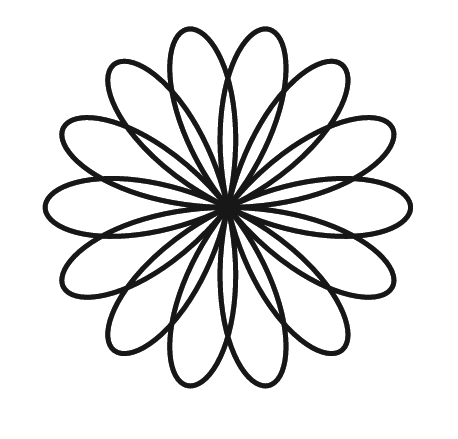 Note, if you want slightly higher quality (for free), you can bring the image to inkscape, convert it to svg, and bring the svg file to tinkercad. This requires you to install software, but there are also online png -> svg converters. It’s one more step for a bit more quality. 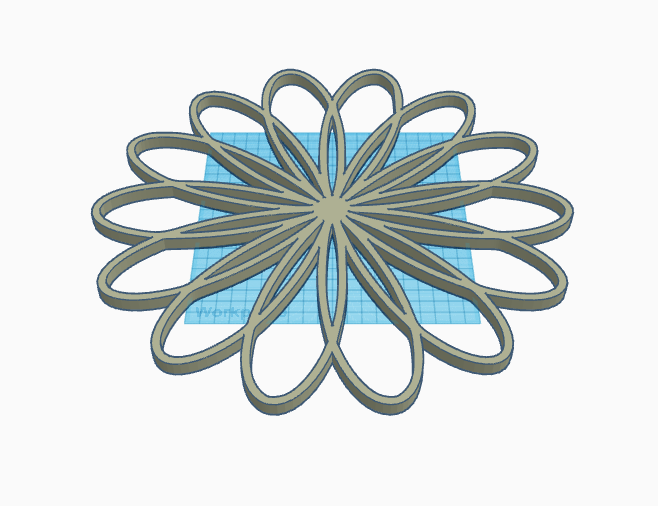 Bring the file to your 3D printing software for final tweaks. 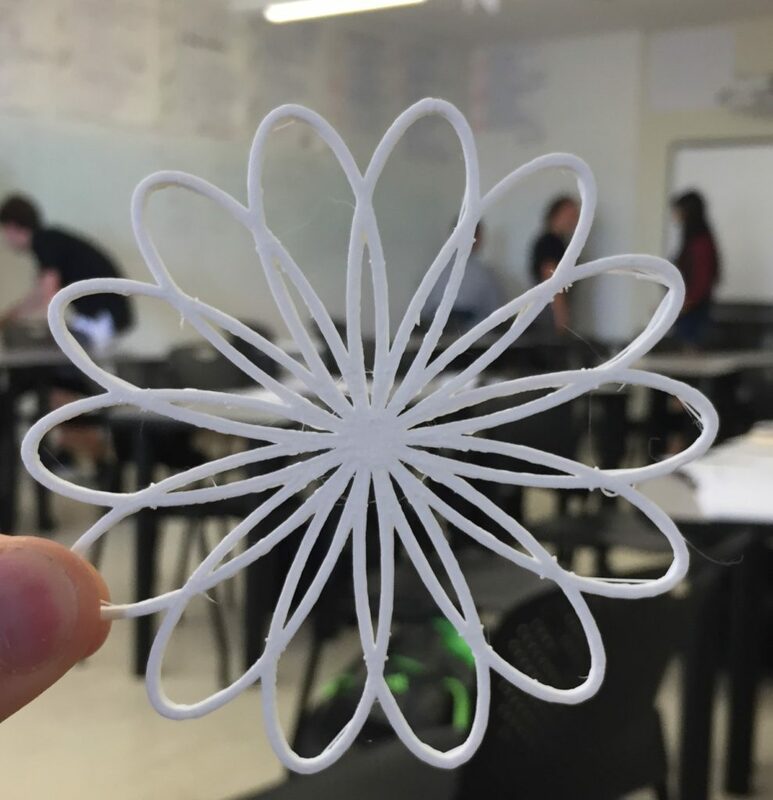 After 1 hour of printing, here’s the result! Sidenote, selva3d has some cool partners. 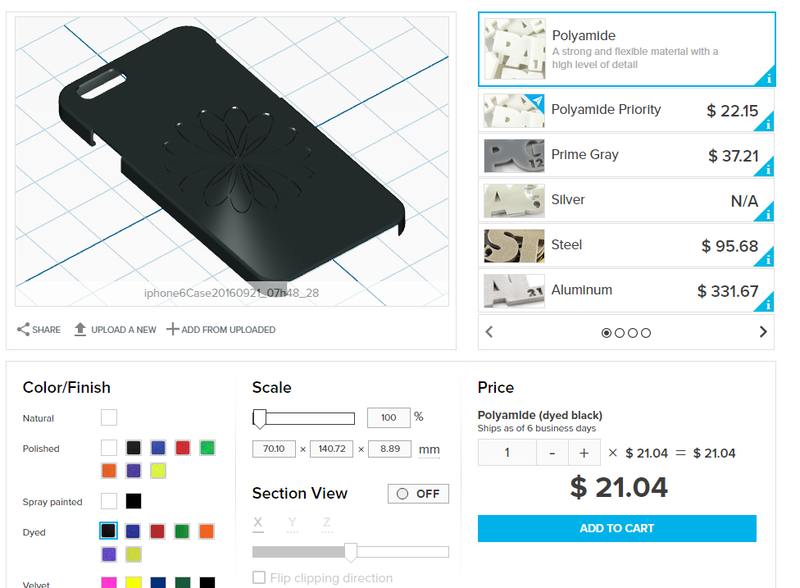 Here you can very easily order a phone case with your design on it for $21. And half an hour cleaning the straggley bits!